Allectus was a Roman-Britannic usurper-emperor in Britain and northern Gaul from 293 to 296. 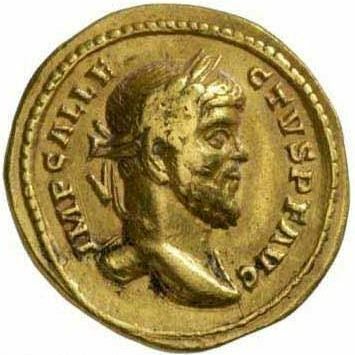 Allectus was treasurer to Carausius, a Menapian officer in the Roman navy who had seized power in Britain and northern Gaul in 286. In 293 Carausius was isolated. Allectus assassinated Carausius and assumed command himself. Allectus was defeated by an expeditionay force led by Constantius Chlorus in 296 AD, although it seems Constantius did not reach Britain until it was all over, and his panegyrist claims he was welcomed by the Britons as a liberator. Coins of Allectus are fairly scarce, and usually command a price upwards of 100 USD.